Having negotiated their semi-final matches against Lucan and Portumna, Killymoon and Ballybunion returned to Royal Tara Golf Club today for the Revive Active Fourball National Final. At the turn, the two sides were inseparable. Carmel Hagan and Catherine Irwin of Killymoon carded the first win on the 15th green, two points from two for the duo. In the top match, Ballybunion pairing of Mary Sheehy and Louise Griffin had a point to prove having lost their semi-final match-up yesterday and looked like doing so with one hole to play. However, the last hole went in favour of McIvor and Marshall meaning extra holes were needed. Killymoon emerged eventual winners on the 20th, a crucial turn. With two matches already finalised, Killymoon needed just one more point to claim victory. Once Cartiona Corrigan and Pudge O'Reilly had finished their match 3&1 the tie hung on the fourth match to decide. It was Kathryn Kerr and Colleen Conway who would seal the win for the Ulster club with a birdie 4 on the last from Conway, a 23 handicapper. "It's a great honour for our small club to win this event," said Catherine Irwin, team captain of Killymoon. "It is our first win and I am so proud of this team for putting our small Cookstown club on the map!" 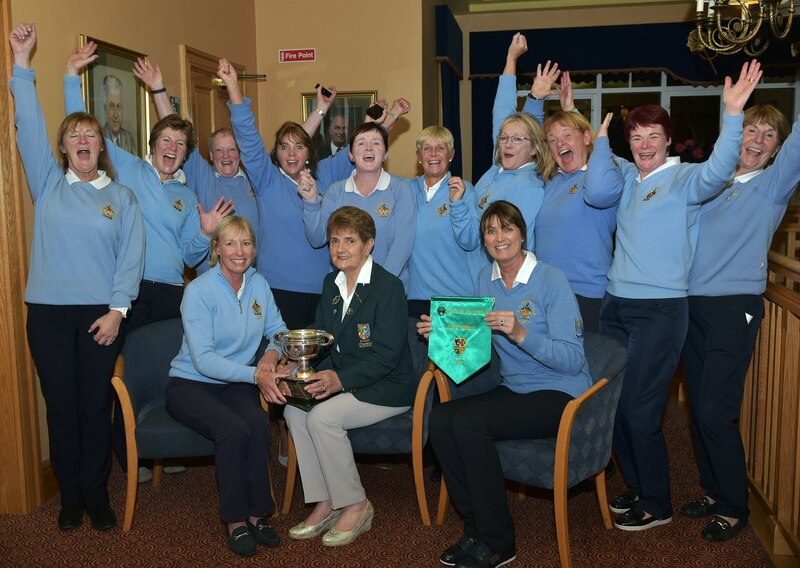 ILGU President Vonnie Noonan spoke at the final presentation; "The ILGU are delighted that Revive Active will sponsor the event for a third time again next year, it is great that such an outstanding product is associated with our Fourball Championship, we are greatly appreciative of all of our sponsors."